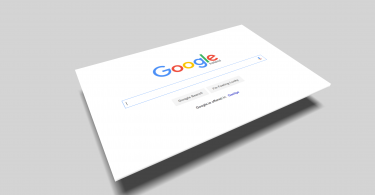 On Thursday, April 12, 2018, Google updated their Terms of Service (TOS) regarding online reviews (Google Review Policy). 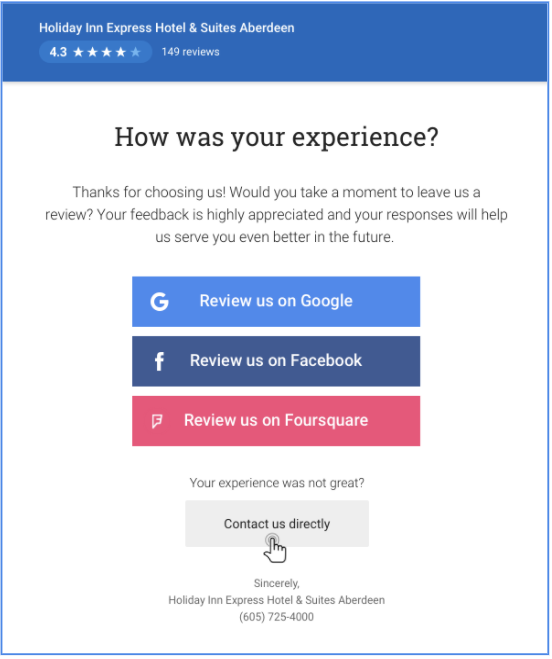 One new addition explains that if you’re soliciting reviews on Google, you need to ask all of your customers, irrespective of whether their experience was positive or negative. Another existing guideline that’s important to note is that Google recommends only asking one customer at a time to review you, and not soliciting in bulk. We’ve updated all of our review templates and settings to comply with Google review policy and google review guidelines. Businesses will no longer have the option to pre-check customer sentiment in their review requests. Instead, all of their customers will have the option to write a review on the review site of their choice. A new feature that we have added is the option to display a “Contact us directly” button that customers can click to discuss their concerns directly with the business. “Bulk review solicitation” refers to a business sending mass review request emails to their customers at once. 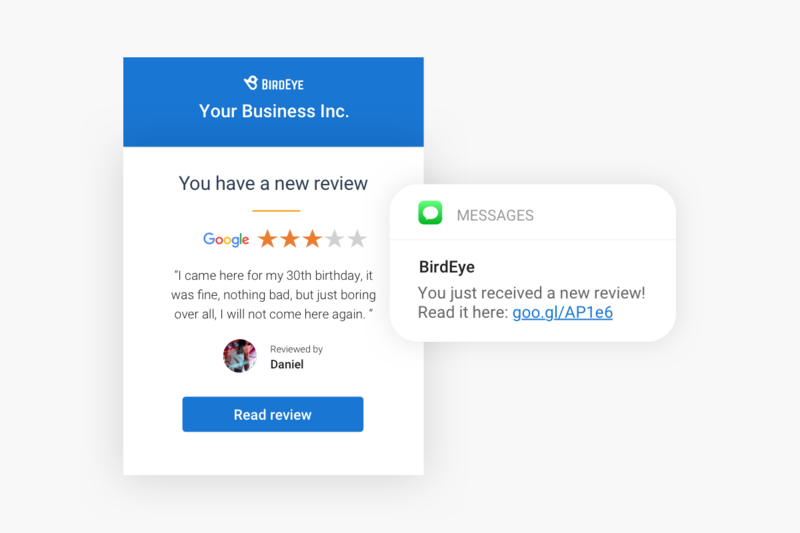 BirdEye drip campaigns that send review request emails after individual customer interactions do not fall into the category of bulk review solicitation, therefore BirdEye businesses are already in compliance with this policy and google review guidelines. We have always recommended against this practice, as several reviews posted for the same business in a short span of time is a red flag for both review sites and prospective customers. 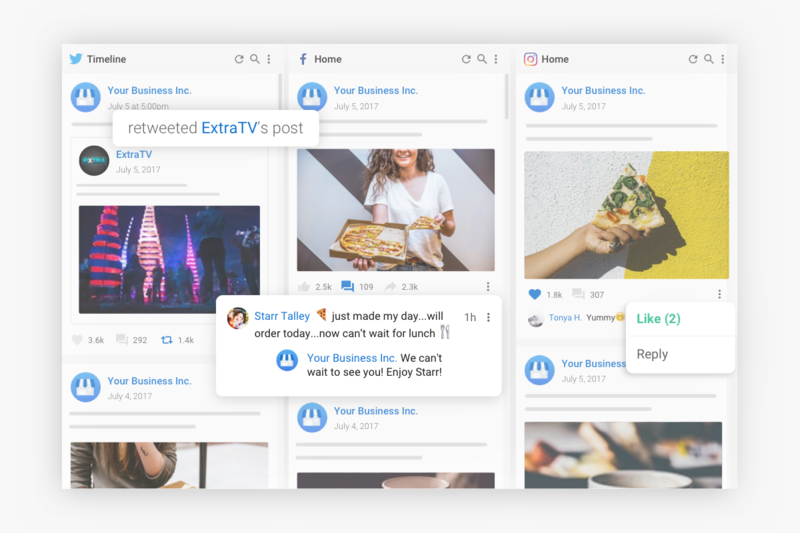 As a convenience feature, BirdEye platform alerts a business if they try to run instant bulk campaigns. 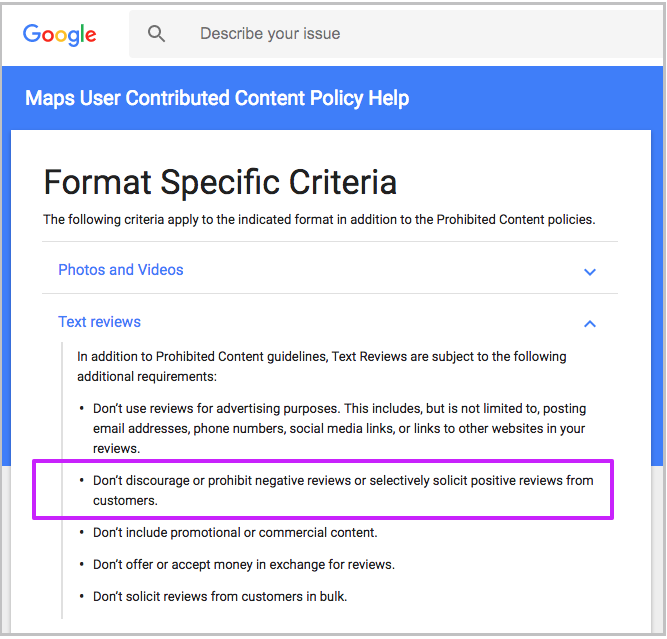 Starting immediately, all new customers will automatically be on the new review request templates that are compliant with Google review policy. All existing customers will have a few weeks to migrate their review request templates to the new format in order to adopt best practices. Negative reviews stem from negative experiences, and BirdEye gives you the tools to prevent both. When it comes to unsatisfied customers, our platform lets you be proactive, not reactive. It’s the only all-in-one software that gives you tools to manage and optimize both customer experience and reputation, simultaneously. Real-time review alerts lets businesses address unhappy customers, resolve issues, and ask for an updated review. 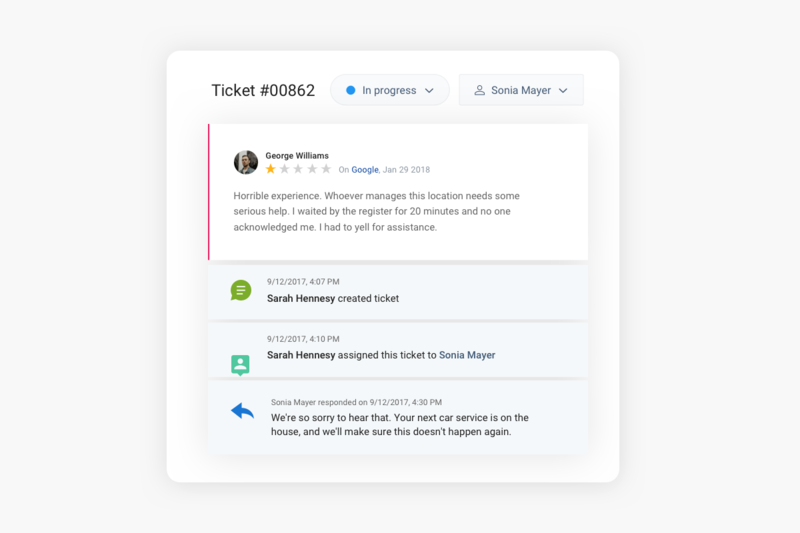 Ticketing product lets businesses ensure nothing slips through the cracks by automatically converting negative reviews into tickets that can be assigned to specific employees. BirdEye also provides detailed service reports for issue resolution time by owner and by status. 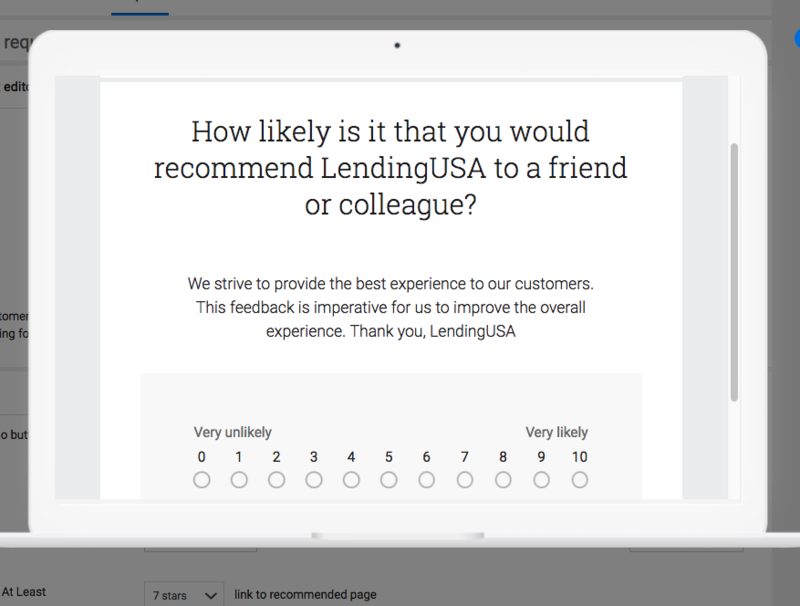 Net Promoter Score (NPS) surveys enable businesses to identify detractors instantly so they can take action to convert them into promoters before it’s too late. Social listening and engagement allow businesses to spot customer complaints that aren’t addressed directly to them, then step in and make things right without even being asked. 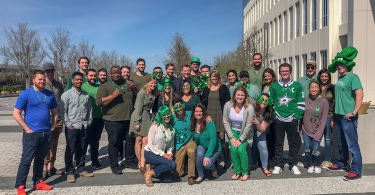 BirdEye’s all-in-one customer experience tools let you stay engaged with customers and provide fantastic experiences that earn you great reviews. We are happy that Google has clearly stated these new guidelines for requesting reviews under the Google review policy. At BirdEye, we’re committed to operating in full compliance with the major review sites, and ensuring your content and your business are protected. As the review industry continues to evolve, we will be watching closely for any changes, keeping you updated on best practices, and adapting our platform accordingly. Please reach out to us (support@birdeye.com) with any questions you have on this change.